Home » What Do You Believe is Possible? Ever since lived in Europe as a preI-teen, I’ve held a dream of once again living in a foreign country. Really immersing myself in another culture, learning the language, encountering surprises, and stretching my mind. What I really wanted was to take my kids overseas while they were growing up—so that they too could have that opportunity to broaden their minds, seeing how other peoples and cultures navigated the world. My girls are now both past 25, and sadly that dream never came to pass during the growing up years. Because I didn’t really believe I could pull it off. I harbored numerous unhelpful beliefs about my finances, the impossibility of leaving my home and business, and my inability to organize all the details required to pile my little family onto a plane and take off for a year. To be fair, it wasn’t just me. I had teamed up with my then-husband in the limiting belief relay—and if one of us grew too daring and hopeful, the other would squash it down. I don’t do regret, so I’ve let it go. Both daughters managed to find their way to foreign countries during their teenage years, with the older one spending over a year in South America, and the younger touring through Europe performing in plays. So… I like to think that somehow I infused them with an adventurous spirit. My point is that I unwittingly blocked myself off from any opportunities that might have shown up for me to seize that dream. I convinced myself that such things were for other people… not for the likes of me. And it wasn’t just travel and living abroad. I closed myself off from so many of the things I most desired. I just didn’t believe they were possible. Why the heck do we do that? Back then I got really really good at telling the story of my limitations. I wasn’t wealthy enough, I wasn’t courageous enough, I wasn’t talented enough… yada yada yada. This is really the crux of why YOU might think it’s impossible to reinvent yourself. Why it seems so unattainable create something new and exciting in your life. Those thoughts and beliefs, those inflexible stories you’ve been telling ourselves for years and decades…you’ve wired those into your neural pathways. There’s good news though: You can rewire your brain! Just a few short years ago, if someone had told me that very soon I would find myself living in an exotic and cultural city deep in the highlands of Mexico, surrounded by fun friends, and working from home coaching interesting clients—I would have laughed. But not in a happy way, more like a hollow, bitter sort of laugh. I would have felt that knife-twist in my belly, imagining that dream and feeling it so far away and unattainable. I could feel the sands of time running through that hourglass. And… something shifted. Suddenly I got the memo that it was all up to me. Although I knew there were many things outside of me that I could not control, there was one thing i COULD control—and that was my thoughts. I could start paying attention to the narrative in my head and make a conscious decision to interrupt those helpless ‘I don’t get to do that’ sort of thoughts. It didn’t happen overnight. But slowly, with help of some brilliant mentors, coaches and energy healers, I began to rewire those neural pathways. Little keyholes of light and possibility began to appear. I tried out different techniques, tools and practices to shift my metal attitude and my energetic stance, including plenty of EFT tapping to release old programming. I rode a wild wave of change in my life, sometimes gracefully—and often kicking and screaming. All the while, I pushed on my sense of possibility. Then, one day while I stood the sales counter of the spiritual book shop where I worked part-time, a woman walk in with a flyer advertising an unusual event. I chatted with her as I studied that flyer, then I looked up into her dark blue eyes. A little spark of recognition shot through me and I thought, she is a really interesting woman. I have a feeling I’m going to see her again. That night as I browsed through a local online list-serve I saw a post from someone looking for a caretaker for their home in Guanajuato, Mexico—a place I had never heard of. At first, I had the usual sort of thought, Oh, wouldn’t that be a cool thing to do! But of course I could never pull it off. In the old days I would have just dropped it right then and there. But I kept reading, and when I saw the name of the person who’d posted the ad a chill ran through me. That’s the woman I met today in the store! I realized. Wow! Is Spirit trying to tell me something? Of course you know how this ends up. 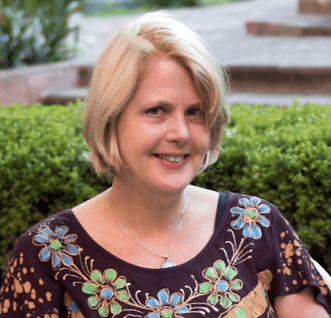 I contacted this woman —also named Sarah—and although there’s much more to the story, that fateful email ended up landing me here in San Miguel de Allende, Mexico, a place I was clearly meant to be. When people ask me how I got here I tell them I was called by Spirit. And I really believe that. Yet—if I hadn’t begun to work with my thoughts, if I hadn’t started to poke at my story about what is possible for me, the whole opportunity would have passed me by. I never would have recognized the synchronicity that was being placed in my path. Who knows how many passed me by before that? What opportunities might YOU be blind to? You may have zero aspirations for living somewhere else. But I bet you have some dreams that you’ve let dwindle because you don’t believe they are possible. How might you open yourself to more possibilities? Can you shift your thinking? Can you begin to believe that magic IS possible for you? If that last question leaves you a little stumped, maybe we need to talk! Because I know that so much more IS possible for you. You can book a complementary consult session HERE. Why wait any longer?